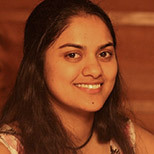 Rashmi is a wildlife researcher with an overarching interest in applied conservation biology. She has worked on the scientific study and conservation of large mammals such as the tiger and the leopard in the Western Ghats of Karnataka, south India. She has worked with the Wildlife Conservation Society – India program, the Centre for Wildlife Studies and the Nature Conservation Foundation under the Western Ghats program. She has a Master’s in Computer Science from North Carolina State University, but shifted gears to work full time in wildlife research and conservation.